The Brothers of Hesperia Lodge No. 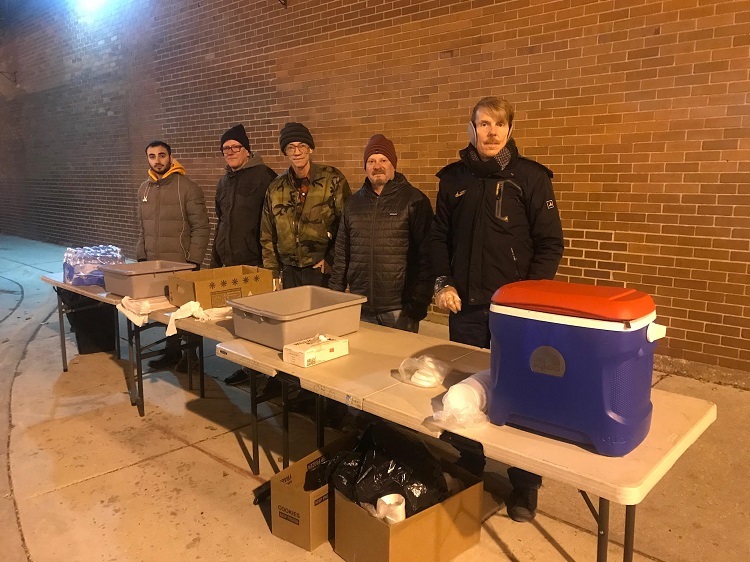 411 once again gathered to cook and serve a hot meal to the homeless citizens in the Uptown neighborhood on the north side of Chicago. 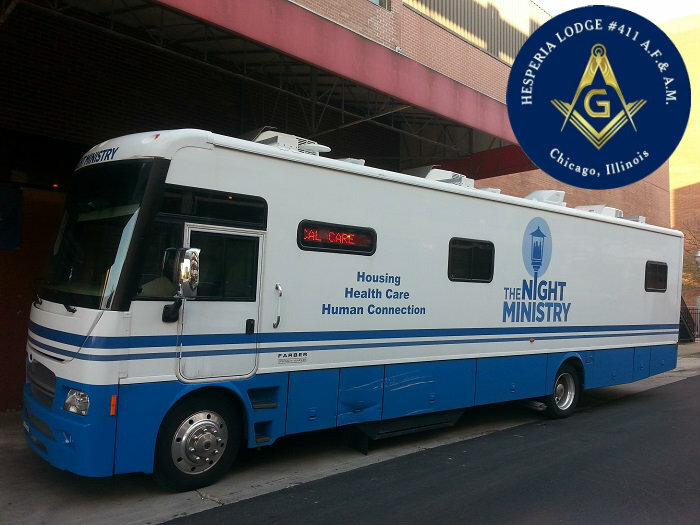 We continued our partnership with The Night Ministry organization to provide this valuable community service. As a special treat, we served freshly baked corn muffins to accompany a hearty meat and pasta dish. Not done yet, the cookies, crackers and bottled water were meal staples that the recipients always welcome. Thankfully the Chicago weather was warmer than usual at a balmy 38 degrees. As Masons, we know that “service to mankind” is part of who we are, and this charitable program o f the lodge gives the Brethren an opportunity to fulfill that call-to-service in our community.